Cut intricate designs with the Silhouette in smooth heat transfer vinyl material, then iron them onto clothes and other fabrics for a professional custom look. 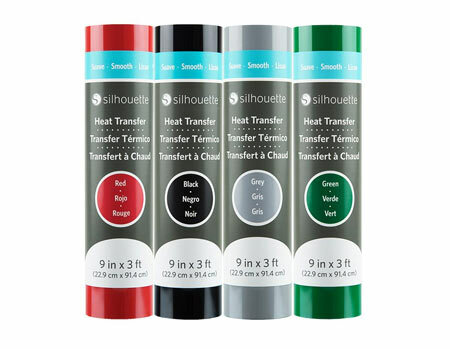 Silhouette heat transfer material is manufactured with transfer tape already adhered, so you don't need anything but a roll/sheet of your favorite style and your Silhouette machine to start creating. Smooth heat transfer material size: 9" x 36"